It is the policy of aquiziam.com to treat our website users and customers in exactly in the way we like to be treated ourselves. We don’t like small print or lengthy terms and conditions any more than you probably do. However, we feel it is important that you have an opportunity, if you wish, to fully understand how our website works. 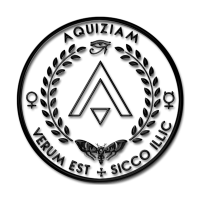 The owners and management of the aquiziam.com website reserve the right, at their discretion, to change, add, modify, or delete portions of these terms at any time. Your continued use of the aquiziam.com website, further to any modification of these terms, will mean you accept those modifications. The terms and conditions described in this online document pertain to your use of the aquiziam.com website and do not alter (change) in any way the terms or conditions of any other agreement you may have entered into with aquiziam.com or its owners. If you have any concerns or queries regarding these terms and conditions, please feel free to contact aquiziam.com via email. You acknowledge and agree that you will refrain from using the websites until you can accept without reservation the terms and conditions set out in this document. Sections of this website have been designed as quiz games and / or intellectual challenges for adults. Some of the themes and contents of the challenges and or supporting pages may be considered, by specific individuals, as unsuitable for non-adults. No person under 18 is eligible for any prize draw or prize challenge without the consenting participation of a parent or legal guardian. In this case the parent or legal guardian is automatically the legitimate and legal player. The owners of aquiziam.com, in accordance with the policies of other similar website operations, are concerned that preteens are unlikely to be aware of and understand the implications of submitting personal data. It is our policy to not knowingly collect data from preteens. In the event that a parent or guardian alerts us to the fact that such data has been collected in good faith, we will investigate the claim and, once assured that the claim is legitimate, the account or records will be terminated or transferred to the parent or guardian of the preteen that has created the account at the discretion of the parent or guardian. All data unintentionally collected from the preteen will be deleted from the records of aquiziam.com and its owners. By using this website, people less than 18 years of age are effectively pledging that they have understood the terms and conditions of use and have the consent of their parent/s or legal guardian to enter this website and play the various games and challenges and or view the materials displayed. A key feature of the aquiziam.com website is the intention of the authors to provide a thought-provoking experience. No offence, insult or attempt to change a pre-existing belief or moral structure is in intended in any way. The owners of aquiziam.com, its directors, management and employees fully respect the diversity of religious, sexual, political and social norms and values. At no time does the website or its content suggest or imply that any recognised belief or social value is incorrect or unacceptable. Where, in the extremely rare cases that the content of this website may be deemed unacceptable by the government and the law of the country in which it is being viewed, the responsibility lies with user not to access this website. Although certain sections of the this website are available to all participants, certain sections will, now or in the future, require that you register and create an account. This may involve the payment of a fee. All usernames used must not infringe on the rights of any third party, be designed to appear as if a member of the aquiziam.com staff or impersonate other users. No usernames that are offensive, obscene, racist, insensitive, illegal or otherwise unacceptable to the management of aquiziam.com may be used. We reserve the right to disallow and or reject, at our sole discretion, any username for any reason or take such other action as we believe appropriate to prohibit the use of said username/s. You agree to keep any password, login identity and other codes specific to the aquiziam.com website secure at all times and not to reveal them to any other person. In particular, you acknowledge that you understand that you may not reveal, distribute or make available the answers and/or answer codes required to use aquiziam.com to any third party. With regard to registration and account information you agree to provide accurate information supported by a valid and active e-mail address. It is not necessary to request authorization to link directly to the aquiziam.com website. However, we do not permit our home page to be loaded into frames, or in any way that embeds the aquiziam.com website, on or into yours or a third party website. The entire user window must be used to load the aquiziam.com homepage. Users of the aquiziam.com internet site should be aware that aquiziam.com provides links to other internet sites that are beyond our control. The process of visiting these sites and actions taken by these sites are wholly outside of the responsibility of the management of aquiziam.com. By linking to these websites we in no way endorse or provide any form of assurance regarding the standards, content and policies of the linked website. Aquiziam.com has no control regarding the online availability of linked pages and provides no assurance that these links will be active all of the time. Should we believe that a user has acted, or may act, in a way that contravenes our terms and conditions, or that in order to prevent or stop any hurt or damage to aquiziam.com, we wholly reserve the right, with or without prior notice, to terminate or modify any or all accounts of the aquiziam.com website which we believe are or may be linked with you. Our actions may involve blocking access to our websites and services and to execute appropriate and reasonable measures to protect aquiziam.com and the general public. Measures utilised may result in loss of registration and access without refund. Aquiziam.com offers no refunds unless stated in a signed written agreement or where a refund is required by law. Every reasonable effort is made to screen, validate and test the content of the aquiziam.com website. However, aquiziam.com cannot accept any responsibility for any loss, disruption or damage to your data or your computer system which may occur whilst viewing or using material obtained or downloaded from this website. Given the sophistication of current viruses and malware in existence, it is sensible and recommended that you protect yourself by using a current version of a recognized internet security programme that contains a virus (used as generic term for all electronic programs and malicious computer code designed to infiltrate your computer) protection and detection programme. All content on the aquiziam.com website is provided “as is” and the owners and its directors, employees, content providers, agents and affiliates exclude, to the fullest extent permitted by applicable law, any warranty, express or implied, including, without limitation, any implied warranties of merchantability, satisfactory quality or fitness for a particular purpose. Aquiziam.com is not and will not be liable for damages of any kind arising from the use of this site or its content, or the unavailability of the same, including, but not limited to loss of profits, and direct, indirect, incidental, punitive and consequential damages. The functions presented by or incorporated in the materials of this site are not warranted to be without error or to uninterrupted. The user, not aquiziam.com, takes responsibility for and assumes the entire cost of all necessary repair, servicing, or rectification due to your use of this site or the content made available by aquiziam.com. Our organisation provides no warranty or guarantee that the site or the content is free from infection by viruses or anything else that has the capability to damage, in any way, your computer, the contents of your electronic storage devices, network, internet connection or associated peripherals. These Terms and Conditions shall be governed by and construed in accordance with the laws of England and Wales. Any dispute arising under these Terms and Conditions shall be subject to the exclusive jurisdiction of the courts specified by the owners of aquiziam.com at the time of the legal action. In no event shall aquiziam.com, its owners, directors, members, employees or agents be liable for any direct, special, indirect or consequential damages, or any other damages of any kind, including but not limited to loss of use, loss of profits or loss of data, whether in an action in contract, tort (including but not limited to negligence) or otherwise, arising out of or in any way connected with the use of the site, the services, the aquiziam.com, content or the materials contained in or accessed through the site, including without limitation any damages caused by or resulting from reliance by user on any information obtained from aquiziam.com, or that result from mistakes, omissions, interruptions, deletion of files or email, errors, defects, viruses, delays in operation or transmission or any failure of performance, whether or not resulting from acts of god, communications failure, theft, destruction or unauthorized access to aquiziam.com its records, programs or services. In no event shall the aggregate liability of aquiziam.com, whether in contract, warranty, tort (including negligence, whether active, passive or imputed), product liability, strict liability or other theory, arising out of or relating to the use of the site exceed any compensation you pay, if any, to aquiziam.com for access to or use of the site. Aquiziam.com may feature advertising from third party advertisers. Aquiziam.com, its owners and employees in no way endorse or provide any assurances regarding the featured advertising or advertisers. Should any dispute arise between aquiziam.com and you or a third party represented by you, they shall, without exception, be dealt with in accordance with the terms set out in the disclaimer section of these terms and conditions. Aquiziam.com reserves the right, notwithstanding any of these Site Terms, at its sole discretion and without notice, to terminate your account and/or to stop and or prevent your use of the aquiziam.com website and or services provided by aquiziam.com, through the use of whatever means are appropriate and reasonable at the time of action.